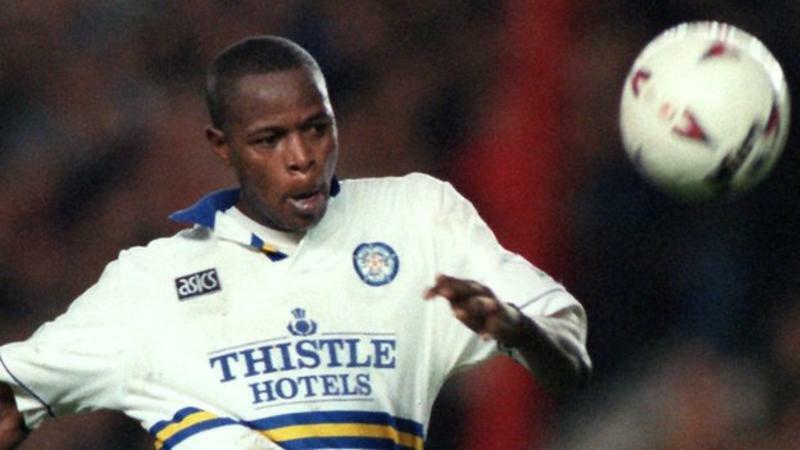 Former South Africa striker Phil Masinga has died, says his country's football association. The 49-year-old had a spell at Leeds United between 1994 and 1996 and also played for St Gallen in Switzerland as well as Italian clubs Salernitana and Bari. "Sad day for South African football," said South Africa Football Association president Danny Jordaan. "A loyal servant of the game, on and off the field of play." Masinga made his debut for Bafana Bafana in July 1992 against Cameroon in South Africa's first match after re-admission to international football by Fifa. He will best be remembered for his goal against Congo, which qualified South Africa for its first World Cup appearance in 1998. Masinga was also a member of the victorious 1996 African Cup of Nations squad.